When wedding season comes around the celebrities are as flooded with invites as the rest of us, which is just as good, as it means plenty of chic inspiration for our own wedding guest looks. When it comes to alternative wedding guest outfits, Kate Moss’s iconic look from the 2006 wedding of friends Bobby Gillespie and Katy England is always go-to inspiration. The supermodel eschewed dresses in favour of a breezy silk short suit, accessorised with a boyish fedora. Through the years she’s served up plenty more wedding guest outfit ideas, from the pretty coral mini she wore to the high-fashion wedding of Jess Hallett and Pietro Birindelli in 2009, to the high-glamour oyster hued silk floor length gown and sapphire coloured shrug she rocked for Leah Wood’s big day the year before. More recently, the royals have given us plenty of #inspo. Kate Middleton looked amazing in a custom Alexander McQueen dress to attend sister Pippa Middleton’s nuptials. In fact, the pair are regulars at high society weddings and always nail it when it comes to formal wedding looks. Fascinators, wrap dresses, blazers and LK Bennett courts are a signature wedding look the sisters. Of course, you can always trust Alexa Chung, Poppy Delevingne and pals to pull out all the stops at weddings. Think floral gowns, chic suits and co-ords, designer heels and accessories. We’re still in love with the ruffle dress Poppy Delevingne wore to the wedding of Pierre Casiraghi and Beatrice Borromeo in Italy in 2015. It’s not just the UK set that does wedding guest style well though, special mention to Jessica Alba, Jennifer Aniston, Sarah Jessica Parker and Kate Bosworth for always bringing some serious fashion game to the aisle. Stick with us here, scroll through the gallery and besides adorable photos of Amy Schumer’s big day – you’ll also find J Law cutting a rug in a pastel pink collared maxi. Too cute. It’s the Wizards of Waverly Place reunion we always wanted. Selena showed up to her former co-star and onscreen brother David Henrie’s wedding dressed in a maroon gown with a high neck and cut out details. The Pitch Perfect 3 star showed some Barden Bella pride when she showed up to her co-stars Anna Camp and Skylar Astin’s wedding, dressed in a flirty pink frock with a layered hem. At her sister Poppy Delevingne’s wedding, Cara joined the bridesmaid posse and donned a floaty white dress for the day. At the Italian wedding of their pal Jessica Chastain, Anne Hathaway and Emily Blunt stepped out in bright dresses for the joyful occasion. 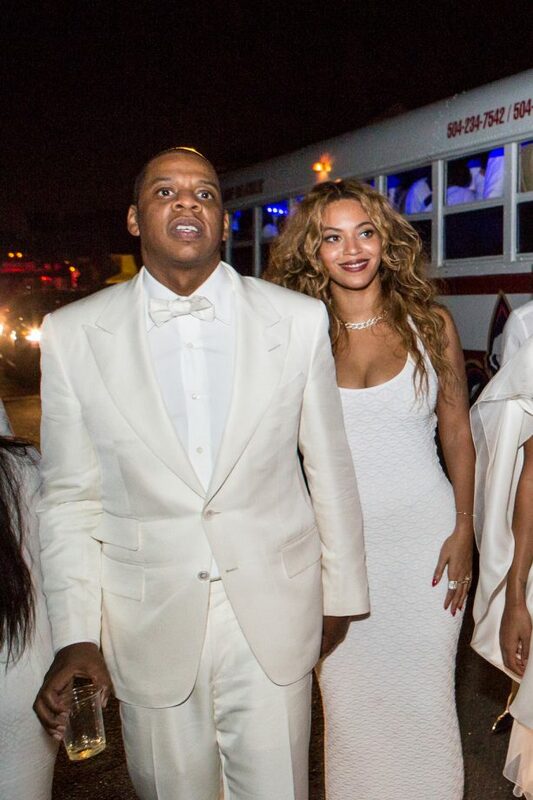 Beyonce and her beau showed up to her younger sister Solange’s wedding dressed to kill in matching all white get ups. Note: we’re still not over those dope wedding photos. The Baywatch star showed up in a traditional Indian outfit for her friend’s wedding in Mumbai.